IoT in Construction involves the gathering and analysis of data throughout a projects life cycle from planning, designing, financing, and constructing, to operations and maintenance of a building. The Internet of Things (IoT) is not like any other ambiguous technology buzzwords. Since its early beginnings in 1999 as a way to promote RFID, IoT has changed our lives for the better. Data collection is possible by embedding chips, sensors, actuators and other data collection technology into physical things. Various industries have leveraged the IoT technology by recognizing patterns and trends. These sectors include the healthcare, manufacturing, automotive, transportation and energy industries. 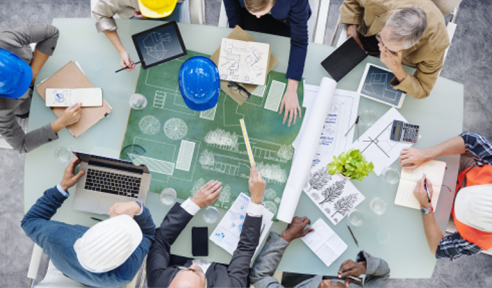 Recently, building and construction innovators integrated IoT to their processes and saw exceptional results in productivity, budget management, logistics and safety. Injuries, accidents and illnesses contribute $1.25 trillion to our global economy. Using IoT changes the behaviour and work standards which in turn reduces 20% - 40% in compensation costs. In 2016, International engineering firm Laing O'Rourke along with MOQDigital developed smart safety helmets that warn the wearer and site managers of an imminent heat stroke. Data collected using sensors help monitor the body temperature and heart-rate of the wearer as well as external temperature and humidity. Having insufficient materials on site stems from poor planning and forecasting. Tagging supplies with RFID tags, barcodes or QR codes, an inventory system can keep track if your storehouse is running low, and sends signals to purchasing staff to order more. Keeping track of supplies minimises downtime, ensures on-time project turnover and reduces stress for everyone involved. The Australian building and construction industry consumes 20% of the country's total energy expenditure. Energy charges in construction sites and the cost of fuel usage on machines can go sky high without proper controls set in place. With IoT, energy consumption data can be used to manage fuel, water and electrical power usage. When workers have clocked out of work, a system can automatically set energy saving lighting across the job site. Machines and vehicles that use fuel can show the remaining volume to make sure that they are refuelled on time to avoid further setbacks. Ensure the performance and longevity of the building with sensors that can send back data on parts of the project before they need maintenance work. The materials used may experience wear and tear due to climate and the passage of time. When tagged with data collection technology, building admin can keep track of the behaviour when subjected to harsh elements and other factors. Using IoT buildings can increase their competitive advantage by recognizing unmet occupant demands before they march up to the front office. 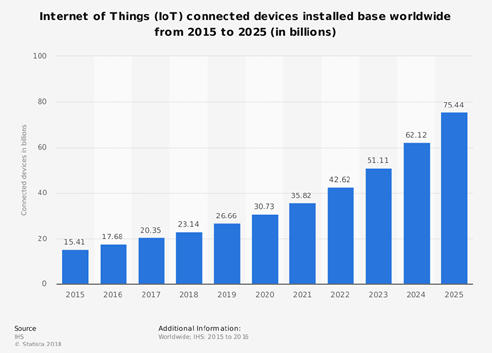 In 2020, the number of installed IoT connected devices worldwide is projected to rise to 30.73 billion. 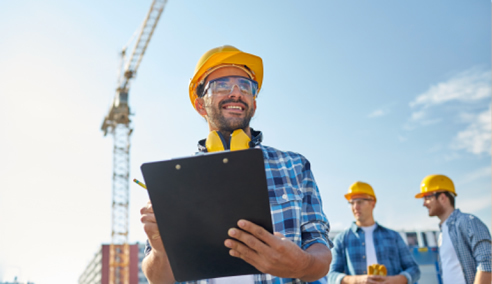 From mobile phones, smart watches, smart home devices, to security sensors, using IoT is the right step towards the future of Australia's building and construction industry. To know more about IoT in Construction, attend this year's DesignBUILD Expo on 2-4 May 2018 at the Melbourne Convention & Exhibition Centre. For more updates, visit www.designbuildexpo.com.au. I would like to enquire about DesignBUILD.